Cereal malt beverage licenses were approved for Green Acres Pizza and Subs and Sports Mart in Lyndon. 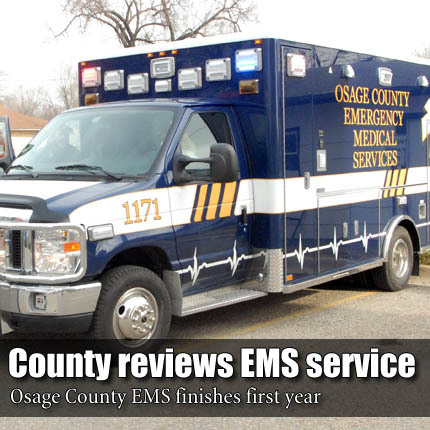 Commissioners heard from Osage County EMS. OCEMS is under the umbrella of Techs, Inc. Chief executive officers Bret Teter and Jay Watkins, along with Osage County EMS director Donna Connell presented a year-end report to the commission. OCEMS has four ambulances stationed throughout the county, two in Osage City, one in Carbondale and one shared use ambulance with Melvern.